Q&R: Which contemporary songs should we introduce to our church? We are in desperate need of introducing some contemporary music into our worship services. I do know contemporary music but have no clue about what works best in a room full of folks, many of whom do not know contemporary Christian music. We do a few songs: As the Deer, Seek Ye First, Sanctuary, and a few others here and there. My organist insists they can do the contemporary music, but the few times we have done it it has fallen flat. I can’t tell you why. So, here is my question: if we were to introduce maybe 10 new contemporary songs to our congregation to be used in worship, which 10 would you suggest? Of course theology matters, but so does singability and teachability. To start, I would definitely recommend you sign up your musician and any singers that are interested for the Tune Up worship band gathering: http://TuneUpGathering.org – they will learn some new songs, and rub shoulders with other church musicians who are doing this same thing. I’ll say that successfully pulling off contemporary music is a challenge. Especially for a church organist. 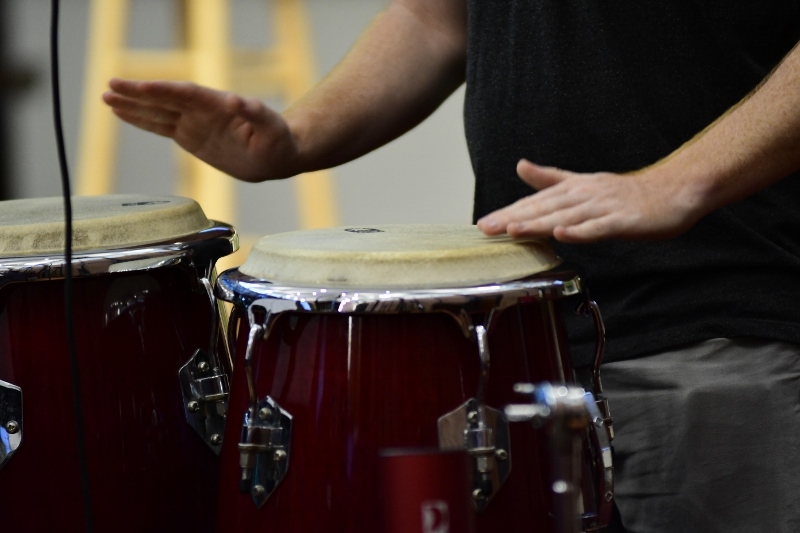 There are lots of reasons why: the rhythmic language of contemp. 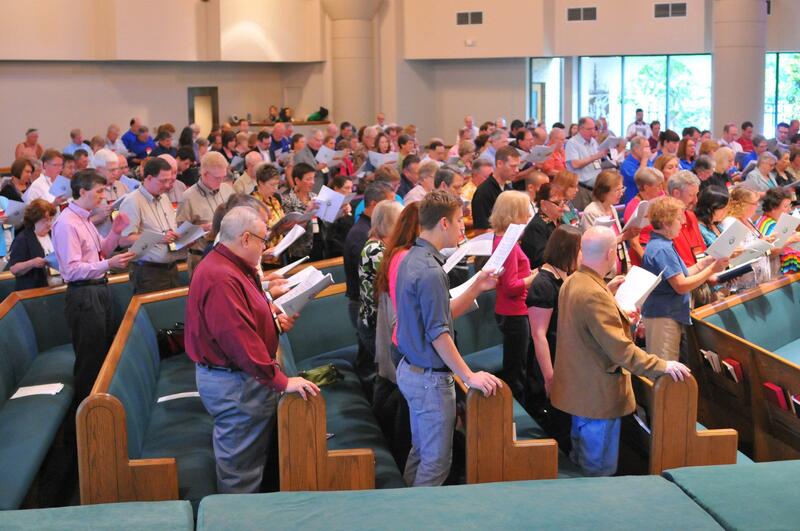 music is different than traditional hymnody. Also many contemp. songs are written and presented by guitar driven bands, and without that instrument (as well as drums) they can fall flat. Hopefully that is something to get you started. Theologically, most contemp. songs are fine. A few are not. The biggest problem I run into is they can be less than gender inclusive (God = He) and put way too much emphasis on substitutionary atonement theory (as opposed to a Christus Victor theme). Some contemp. songs are engaging Biblical themes and images unexplored in traditional hymnody. However, a consistent diet of contemp. songs will not be as full, or rich a theological expression as hymnody would be. For example, if you’re looking for contemp. songs that mention the Trinity (a core doctrine of Christianity), you’ll have to look hard (but they are there). 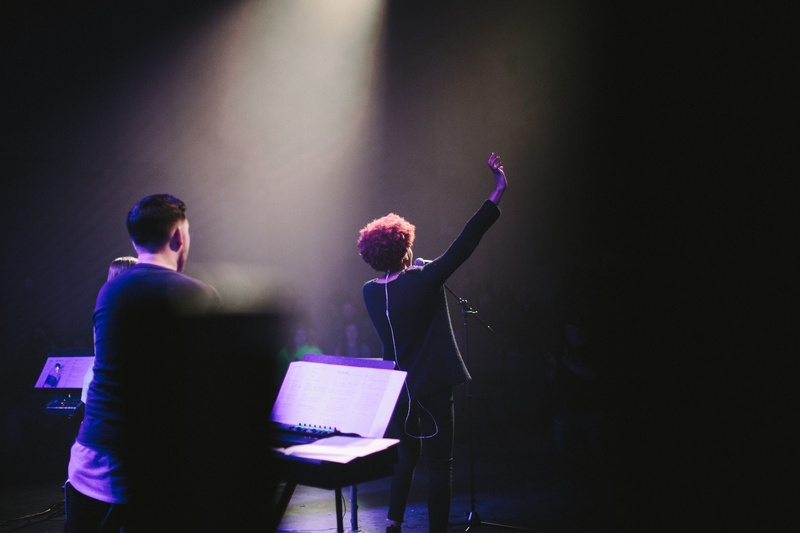 Should churches hire their worship band musicians? It is a question that churches usually ask when they are starting a new style of service with the intent of reaching out to a younger demographic. They realize that having a new service with poorly executed music might have the opposite effect. There might be a few instrumentalists or vocalists willing to form a band, but rarely are there enough volunteers to fill out a full band (especially in smaller churches). Something is usually missing: maybe a keyboardist, electric guitarist, or drummer. Someone will usually suggest that the musical vitality of the service is worth investing in. On the flip side, mega-churches routinely hire out full ensembles of studio musicians to make sure the musical quality of their services lives up to the hype. A church had music in worship led by a pianist who was employed by the church part-time. A person joined the church and volunteered his keyboarding skills for the service. After a couple of months of both the staff pianist and volunteer keyboardist leading music together, the volunteer keyboardist approached the church leadership about being compensated for his part in worship. The keyboardist felt that it was unfair for two people to be serving in the same capacity but only one be compensated. The church leadership disagreed. The keyboardist became angry and moved on. Awkwardness abounded. 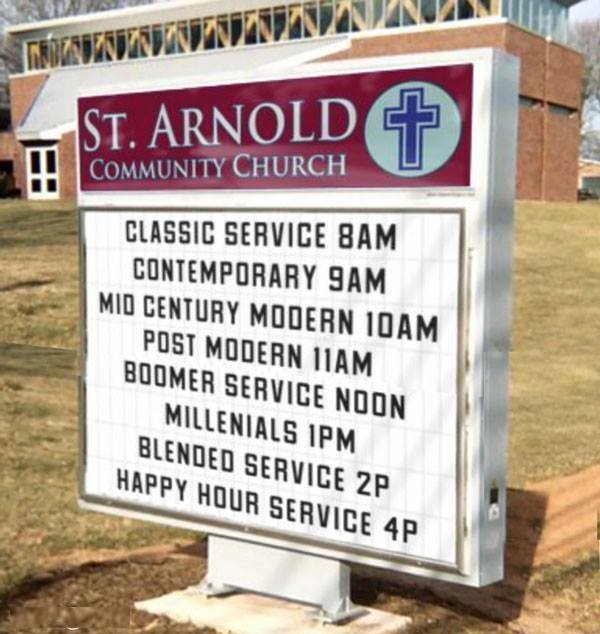 Another church had three Sunday morning worship services. The first service was accompanied by a small volunteer orchestral ensemble and two part-time employees, a pianist and an organist. The second and third services were led by a band entirely made up of volunteer musicians. One of the volunteer musicians happened to play in all three Sunday morning services. It became evident to the church leadership that perhaps it was unfair that the organist and pianist were being compensated (for a rehearsal and one service), while the volunteer was not being compensated (for two rehearsals and three services). The church leadership decided that having some church musicians compensated and others not was unfair. The pianist and organist stopped being compensated for their musical contributions, but remained active as volunteer musicians. So what is a church to do? Pay to play or pray for players? There is something to be said for wanting the offering of music in worship to be done with excellence. God is pleased when we offer a skillfully executed sacrifice of praise (“Sing praises with a skillful psalm.” Psalm 47:7). 1 Chronicles 15:22 says, “Chenaniah, chief of the Levites, was in charge of the singing; he gave instruction in singing because he was skillful.” (NASB) It is also part of hospitality and welcoming people into worship – which is less easy when there are mistakes and flubs musically. So it may be responsible to hire musicians to help the church offer excellent music. On the other hand, God gives us everything we need. Just because your church doesn’t have a drummer or a bass guitarist doesn’t mean you are incapable of corporate worship. 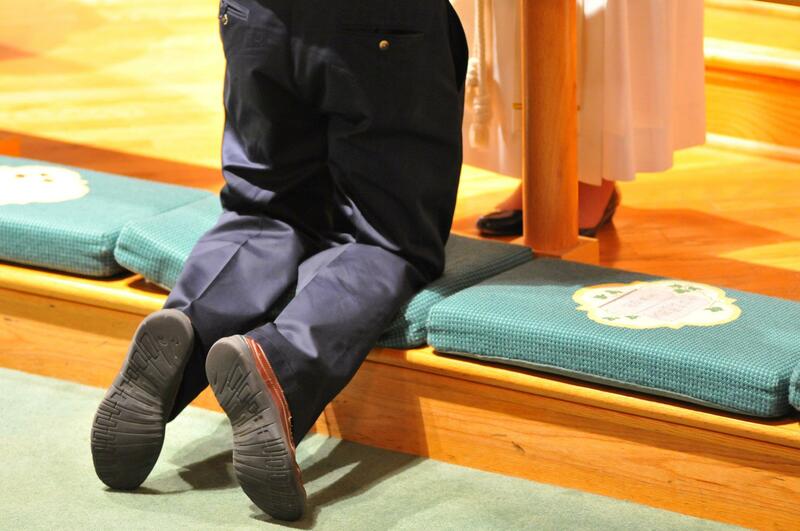 Sometimes the musical device used for worship can become crippling to worship. “We can’t have a service without (insert name of instrument).” It is preferable to look at your context, see what God has provided you with, and go with it. I have also heard it argued that if you pay one or two professional musicians to join your volunteer group, the overall excellence of the team will rise. If there is one person coming to rehearsal every week with charts organized and marked, songs learned, and tempos perfected, the professionalism will raise the standards of the volunteers as well. 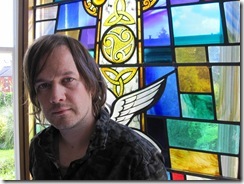 Deciding whether to pay worship band musicians is something a church has to decide for itself. My opinion is that it is preferable for a church to use what gifts they have been given and be content with it. But I’m sure there are circumstances when paying a musician or two to augment the band also make sense. Also read Vicky Beeching’s post on this subject for more thoughts. What if church is the place we go precisely to escape worship music, instead singing songs that invite us to turn our backs on some ultimate solution and affirm the life we find ourselves in? A place where the art encourages us to find meaning, beauty and goodness in our world rather than in something beyond it? 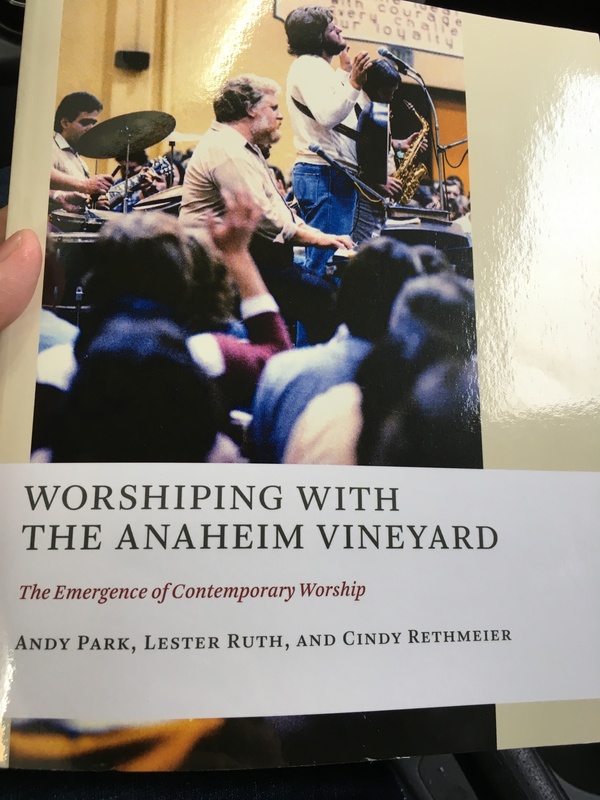 Contemporary Worship = Higher Attendance? When thinking about worship, first I would propose Lutherans need to start with the center — namely it is the Triune God who acts in the means of grace, the word and sacraments. Second, we have a simple pattern for our worshiping assemblies that shows up in the New Testament church and has been used by generations of Christians ever since: gathering, word, meal and sending. Only third does style capture our attention. 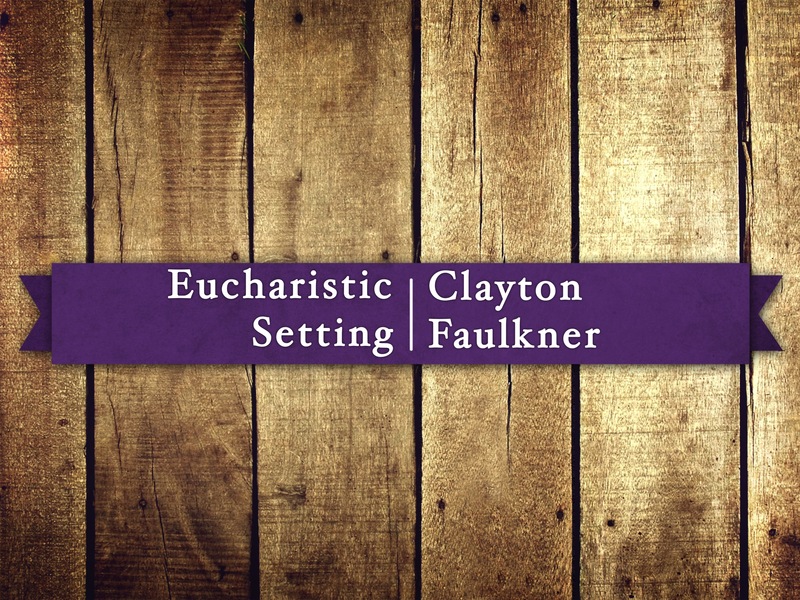 Here there is great freedom and flexibility in the song and style a given assembly uses to express what God is doing through this common pattern of gathering around word and sacrament. In this context we would encourage an ever expanding repertoire of contemporary, global, as well as classic music and texts to make the proclamation of the gospel accessible in this time and place, while linking it to every time and place.